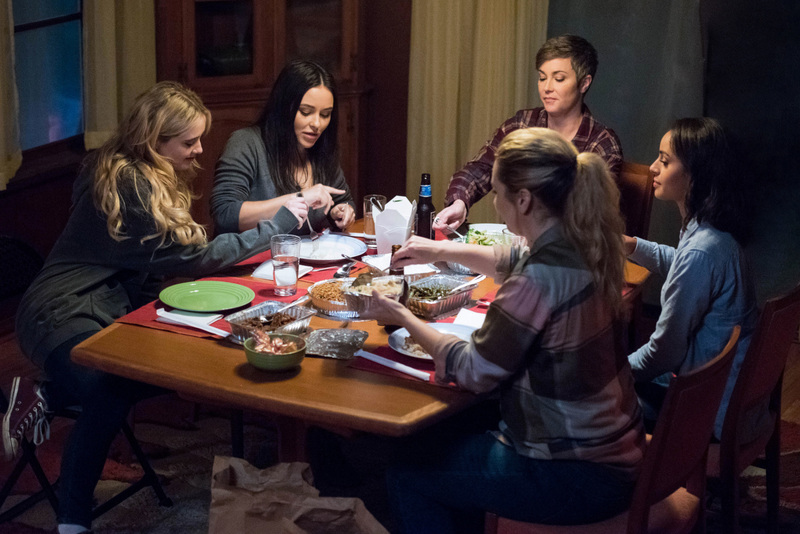 Episode 3×10 “Wayward Sisters” — When Sam (Jared Padalecki) and Dean (Jensen Ackles) go missing, Jody Mills (guest star Kim Rhodes) calls Claire Novak (guest star Kathryn Newton), the rebellious rogue hunter, and tells her it is time to come home – they need to find the Winchesters. Claire returns and reunites with Alex Jones (guest star Katherine Ramdeen), who has stayed behind with Jody and tries to balance a “normal” life with being a part time hunter. While Jody is happy to have Claire home again, she’s plagued by Patience’s (guest star Clark Backo) disturbing vision involving her adopted daughter. Claire and Alex search for Kaia Nieves (guest star Yadira Guevara-Prip), the dreamcatcher responsible for opening the rift that Sam and Dean went through, as she holds the key to their whereabouts. Jody calls her friend, Donna Hanscum (guest star Briana Buckmaster), to round out the team and the women head off on the most important hunt of their lives. Phil Sgriccia directed the episode written by Robert Berens and Andrew Dabb. Air Date: Thursday, January 18 (8:00-9:00 p.m. ET) on the CW.